At Martin Brothers Motor Company Ltd, there is a broad selection of modern Seats available. Visit the showroom located in Hebburn to find the perfect one for you! Seat's designs include everything from the sporty looking Arona compact SUV to the cheap-to-run Mii city runabout, covering all personalities and requirements. 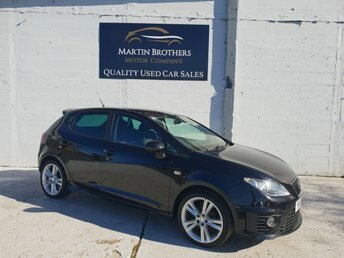 With from Martin Brothers Motor Company Ltd, you can purchase in confidence knowing that your used Seat car has undergone a thorough pre-delivery inspection and comes with a multi-point inspection certificate and a 3-month warranty. All of our stock is listed here on our website ? if you see a vehicle you are interested in, gives us a call to arrange a test drive.